Welcome to Episode #66 of the Kibbe and Finnegan show! If you’re new to the show, Mike Finnegan and I have taken our Dukes of Hazzard fandom and turned it into a full fledged automotive podcast Gong Show of sorts, completed with a full episode review from The Dukes of Hazzard. It’s every 40-year-old’s dream, right? Follically challenged friends, today is the day you’ve been waiting for. While Finnegan’s melon is flush with plush, the majority of the rest of us have experienced (or will experience) hair loss as we get older. And as much as we hate admitting that it bothers us, it still does. So…we’re happy to announce that Keeps has joined on to sponsor a portion of today’s episode, and even happier that they have a 100% online and low cost method to make things get fuzzy again. 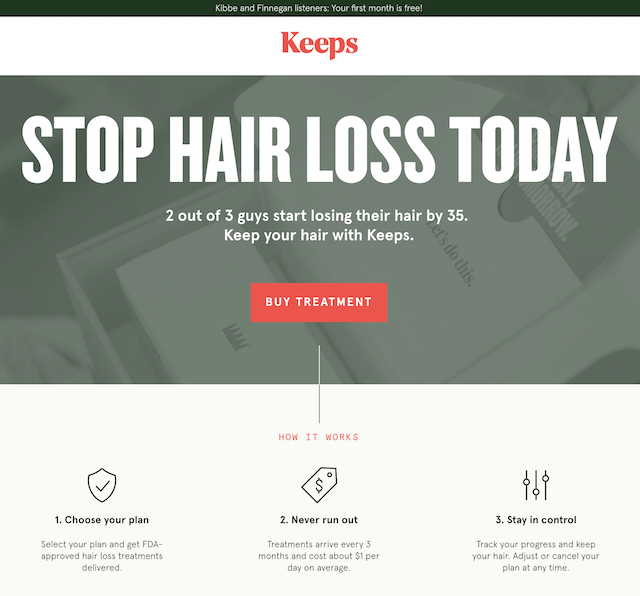 Stop hair loss today the easy way with Keeps, offering customized treatment plans with only FDA approved hair loss products for about $1 a day, from the comfort of your couch. To receive your first month of treatment for free, go to Keeps.com/KAFS! Guess what? Corndog is back in this episode…and so is Zip Recruiter! Here’s the good news: right now the economy is moving like a freight train. Businesses are booming and more people are working than ever it seems. Here’s the bad news: if you’re trying to hire the best qualified people for your company or business….standing out in the crowd and sifting through a billion applications has never been a bigger hassle. ● ZipRecruiter posts your job to over one hundred of the web’s leading job boards with just one click. ● Then, ZipRecruiter actively looks for the most qualified candidates and invite them to apply. ● They even review every application to identify the top candidates—so you never miss a Great Match. ● Unlike other hiring sites, ZipRecruiter doesn’t depend on the right candidates finding you; it finds them. ● 80% of employers who post on ZipRecruiter get a quality candidate through the site in just one day. p.s. 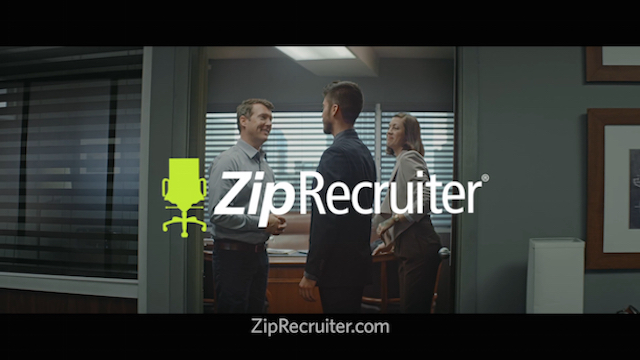 If you’re SEEKING a new job…ZipRecruiter is FREE for that too! 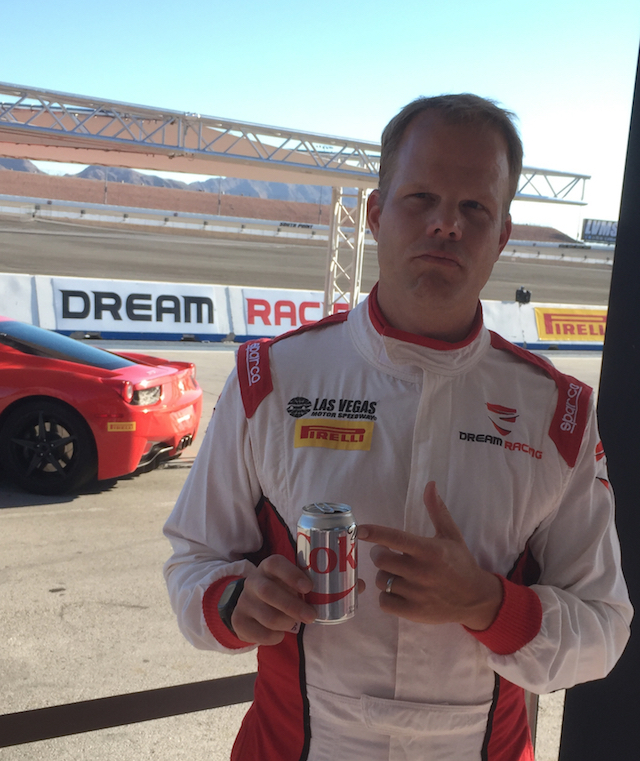 Finnegan is out on Roadkill duty this week so once again Corndog took the mantle of responsibility, charging forward with the old claim that the show must go on. Neither rain nor sleet will keep us from our appointed rounds…and I had more geeky General Lee questions to ask him. 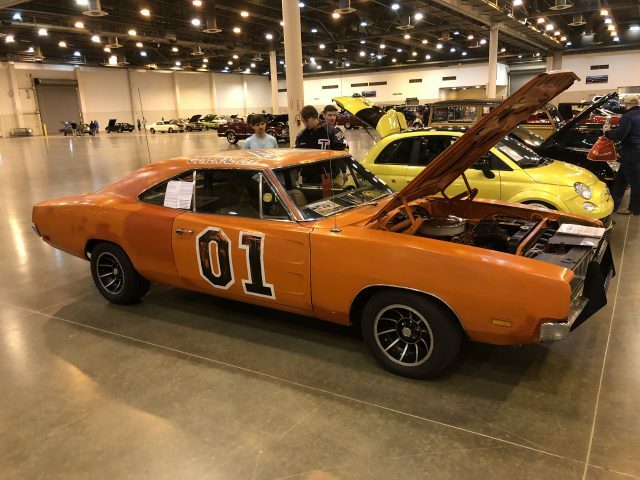 The discussion stars around the non-screen used but “real” General Lee’s that have pointed up in the world, and what Corndog’s take is on them (including one that just went to a Mecum auction). Shocker – he knows the story on them all. But did you know that there were about 5 unconverted Chargers left after the Dukes series ended? It’s true….and at least two went on to become super authentic replica Generals. And that discussion lasted 20 minutes alone. And my brain hurts. This was a pretty good episode. Even though there was only one GL jump and one police car jump… I thought that it had a decent amount of car footage. There appears to be 3-4 different Chargers that were used… the car with the painted over rocker moldings seemed to be used quite a bit. When the camera cuts to a close up of the interior of the General Lee, this appears to be a factory saddle interior car. 2:07 – Bo, Luke, and Daisy pull up to the post office. The General Lee is a ’69 model and is sporting a pair of painted-over rocker moldings and wheel open moldings. 19:56 – After Rosco is covered with fruits and vegetables, and is chasing Bo and Luke. Rick Hurst (Cletus) actually does his own stunt… and does it well. Ted Barba is doubling Rosco as he runs down the sidewalk… Rick jumps on top of and runs across the hood of the police car, jumps, and tackles Ted (“Rosco”). 27:12 – When Bo and Luke are looking around in Uncle Charlie’s Upholstery, Luke uncovers a saddle tan ’69 Charger rear upper seat frame from one of the General Lees. 30:54 – We finally get to see the General Lee make a jump over the pond. 37:54 – Luke calls Daisy on the CB but calls her “Country Cousin” instead of the usual “Bo Peep”. 40:10 – When Rosco and Boss Hogg veer off the road to avoid Daisy’s Jeep, and the hood pops open… there is no one in the passenger seat when they show the in-car view. At the end of the episode, they go to the old abandoned town “Shoveltown”. Last night while reviewing the episode, I quickly fell off into the rabbit-hole trying to figure out exactly which set this was. I assumed that it was the old Laramie Street Western set at Warner Brothers Studios… but there are a lot of differences between the two. I finally found an early enough aerial photo of Warner Brothers Studios and was able to compare the buildings to the screen shots. This was filmed at Laramie Street. 4. Get John Schneider himself on the show with us. Pray to God he actually likes us and isn’t freaked out. NOV 2017: THIS IS GOING TO HAPPEN!